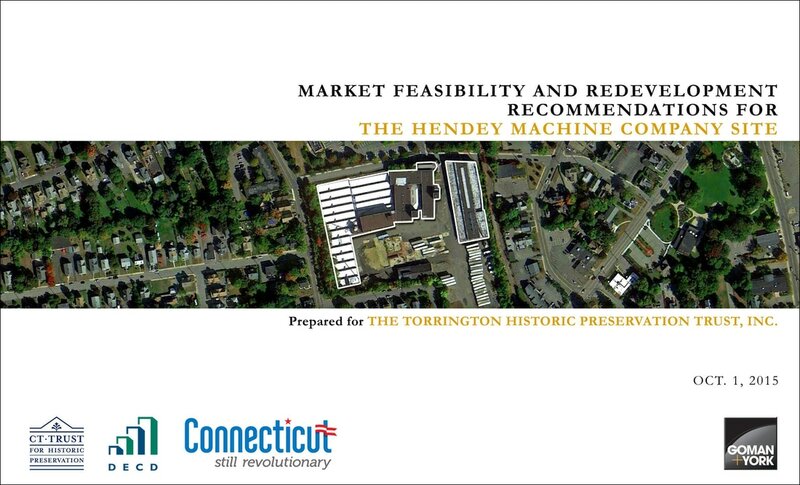 The Torrington Historic Preservation Trust, with a grant from the CT Department of Economic and Community Development and through the CT Trust for Historic Preservation, published the Market Feasibility Study and Redevelopment Recommendations for the Hendey Machine Company site in Fall 2015, prepared by Goman+York Property Advisors LLC. The innovative study proposes new uses and a redevelopment strategy for the nine-acre Hendey site that both preserves the historic buildings for future generations and contributes to the livability and economic wellbeing of Torrington. ​A special version of the study (not available online) for prospective developers with detailed market analysis data. Skee’s Diner is the first historic building owned by the Torrington Historic Preservation Trust. The diner is listed on the National Register of Historic Places and is believed to be the best-preserved diner of its type in the country. The Northwest Connecticut Chamber of Commerce transferred its previous ownership of the diner to the trust in 2013. In April 2013, the Torrington Historic Preservation Trust moved Skee’s Diner from its previous longtime location, at the corner of Main and East Elm streets, with the ultimate goal of restoring it and ultimately installing it at a future site in Torrington, where it will be reopened for business as a restaurant in a truly unique historic setting. Using the diner again for food service will be akin to living history. The Torrington Historical Society also donated funds toward the diner restoration project. The Torrington Historic Preservation Trust is working with the City of Torrington to designate Torrington a Certified Local Government (CLG) for historic preservation. The first step in this process has already been completed with the City Council passing an ordinance that creates the City Hall Historic Property and the City Hall Historic Property Commission. Now that Torrington has a designated historic property, the city can apply to become a CLG. That process is expected to take several months. If the designation is approved the city and the historic property commission will be eligible to apply for grants for a variety of historic preservation projects in town. Provides the city with technical and financial assistance from Federal and State government in the area of historic preservation. Makes Torrington eligible for two types of grants: Historic preservation grant of up to $2,800, and a Supplemental CLG grant that can be up to $30,000. Helps establish stronger preservation influence in the community. Participates in the establishment of regional and state historic preservation objectives. Formalizes a role in the National Register of Historic Places nomination and review process.